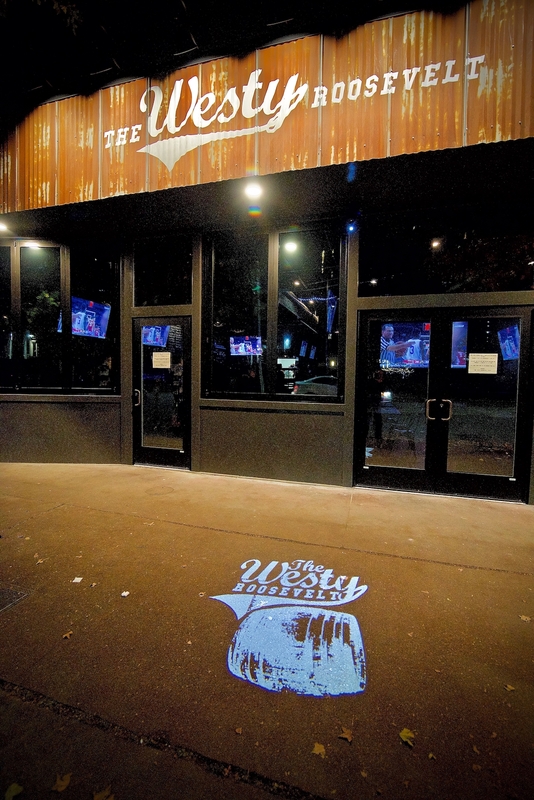 The new Westy Roosevelt offers the same menu and amazing range of beers and whiskies as the West Seattle location but is family friendly (till 10pm) and has far more space. The upscale food, atmosphere, and beverages have set them apart from most sports bars. The popular upscale/understated sports bar formula that Paul Ritums and JP Vidicans created with The Westy Sports and Spirits at 7908 35th Ave SW has been replicated in the Roosevelt neighborhood with much the same look, feel and vibe but with a couple of key differences. Located at 1215 65th NE the Westy Roosevelt has 3300 square feet (vs 2500 in West Seattle) and that means enough space to make it family friendly. The bar/restaurant has the same industrial feel with metal tables, wood lined walls, exposed beams and pipe work decor but a major part of the space is open to those under 21 until 10pm. They can seat 99 people at at time. The new business has 20 large screen TV's and two drop down projection TVs on massive screens. Pinball and Skeeball machines are in house but no pool tables, no team logos, or other sports related decor. That's quite intentional say the owners. The menu is the same as the West Seattle location featuring food that isn't just deep fried or burgers but instead is a cut above featuring Seared Broccoli, Irish Nachos, Lettuce Cups, Quinoa Fried Rice, or Roasted Veggie Flatbread, Jambalaya, or Southern Brisket. To be sure they have burgers, tacos, soup and salads too but this isn't standard bar food. The Westy Roosevelt features 26 taps with 23 beers, two ciders and two tap cocktails plus a draft root beer. It was a lot of work to transform the former space (also a bar) while at the same time operating the West Seattle location. "It was a lot of 15 hour days," said Ritums, "We fully replaced the entire front end of the building with new doors, three new operable doors for indoor/outdoor seating (coming later this year)." They employ a mix of 24 people in the new location with 26 working at the West Seattle location. Ritums and Vidicans really believe in their concept. "We looked at lots of neighborhoods before we settled on this location," Ritums said, " Columbia City, Mountlake Terrace, Renton but Roosevelt felt like a natural progression from where we were in West Seattle. We are still in a good neighborhood but it's a little bit more of a travel strip than there. It's good natural step up. Like we say, we are more than just a sports bar in everything from the food, to the beverages to the style. You can watch a lot of sporting events, but as we heard repeatedly in West Seattle a lot of people don't come there for sports. They come for the food, the atmosphere and the neighborhood aspect. That's what we wanted to continue to grow. Good food, good drinks, good people, good service." Vidicans said, "I think the needs of both neighborhoods are very much the same. You've got a lot of families that are busting at the seams and they need places to go. That's something we wanted for West Seattle but the logistics of such a narrow building didn't allow us to invite families in. Now that we have the space we were able to build something that can meet those needs." They are open Monday through Friday from 11am to 2am. On the weekends they are open for breakfast at 9am and close at 2am.